Keep your children entertained during school holidays with a packed program of activities designed to complement the Maritime Museum’s exhibitions. This includes great fun and educational things for the children to do. Bookings are not required for individuals. During busy periods the museum may give you a session ticket when you arrive. For information on the day’s session see the ‘what’s on’ board in the museum foyer. July is peak whale watching season in Sydney. Possible sightings include mothers with their calf. You can join a whale watching cruise or travel to your nearest top whale watching headland. Follow the link below for more details. The Powerhouse Museum usually has a good range of things for the kids to do during the holidays although some of it can be a bit pricey. Follow the link below to see what they have on offer. For the July holidays you might be interested in Parramatta Winterlight Festival ice rink which is open all holiday long. If you aren’t all that keen on skating, you can just go along for the alpine food and drinks. There will also be child friendly activities and music to enjoy. If you want to do a bit more than skating around Parramatta, you’ll have to head to the hills mountains and enjoy the snow. 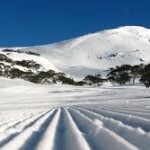 The link below includes a video which highlights the joy of Skiing in Australia. The Harbour Bridge Pylon is great value. After climbing its 200 steps you will be rewarded with a great view of the Sydney Opera House. So unless it is pouring with rain it’s well worth taking steps to see it. 🙂 The kids should enjoy the climb and the view and the adults may also find some of the Bridge facts and stories fascinating. There’s plenty of space for your kids at Sydney Observatory during the July winter school holidays. There are galaxies and galaxies to explore. Probably the most popular thing to do at the Observatory is the Digital Planetarium. From here you can see the Universe come to life and you may even get a little Q&A after the movie. So whether you get on board a mission to Mars or explore the Solar Systems you should find it interesting if not fascinating. Afterwards, the the Observatory staff may allow you to peer through their rather large telescope (weather permitting). The Sydney Opera House likes to see itself as providing parents with wonderful things for their kids to do. We would pretty much go along with that other than there are often cheaper alternatives. So if the Sydney Opera House fits in well with your plans or you see it as a good excuse to visit then why not. We took our kids to the TreeTop Adventure Park only to be told they were fully booked resulting in floods of tears. The Adventure Park is a popular spot for just about any kid who likes to play at the playground. TreeTop Adventure Park is located in the Western Parklands and about an hour’s drive north of Sydney on the F3. You can book online (which is what we will do next time). If the kids are bugging you to see the snow these school holidays, there is an alternative to a ski holiday that’ll save you a few pennies. The Hunter Valley Gardens are putting on ‘Snow time in the Garden’ again this year. Prior year’s activities have included ice skating, tobogganing, snow ball challenges, live ice sculpting and Husky racing! With this much entertainment for the kids, you might even squeeze in a wine tasting or two without too many complaints. Follow the link to see what’s in store this year. We have created a new page for anyone thinking of heading north of Sydney for the holidays, or any other time for that matter. Most of the suggestions are between Sydney and Coffs Harbour but we plan to expand this page at a later date. You can also use it as a source of ideas for day trips. Happy Holidays and drive safely. There are also countless, well at least 150, great things to do. Not only that there are festivals to go to and lots of other cool stuff on in Sydney.